That’s my honest belief. I mean… I guess if you’re not able to feed or clothe yourself, but you’re buying more dice, that might be too many, but until you reach that point, you can never have enough. A couple months back, people were talking about a website that’ll show you exactly how much money you’d spent on Steam over the years. They were lamenting the thousands of dollars they’d spent. I don’t have a Steam account… but I do have bags and bags and bags of dice. One company I’ve been following a lot lately has been Kraken Dice (I’m sure you’ve all probably noticed). Well, waaaaaay back, I got their Iconic Blue 1 set, one of their first limited edition sets. Well, I just got my Iconic Blue 2 set. And since I did a review of IB1, let’s do a review of IB2. So, it’s time for another TGN Review. This time, it’s Iconic Blue 2 from Kraken Dice. I’m an unabashed fan of the My Little Pony: Friendship is Magic series. I’ve seen all the way through Season 7. I’ve got the movie on Blu-Ray. And I’ve done multiple reviews for the Tails of Equestria products in the past. So, it seems only fitting that I continue on. 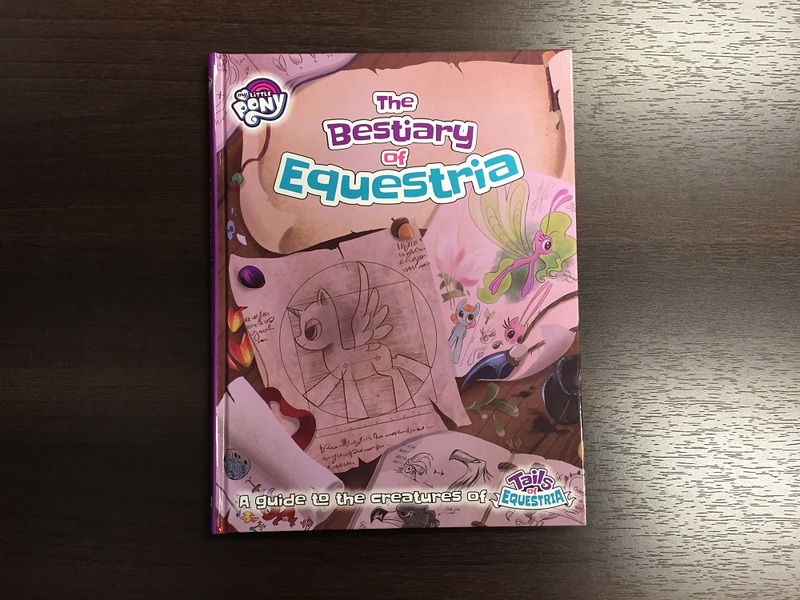 I recently managed to get a Bestiary of Equestria, a book I’d been eagerly anticipating getting for a while, due to what’s been said to be inside. Did it live up to my expectations? So, grab your favorite Wonderbolt hat, it’s time for another TGN Review. This time, it’s The Bestiary of Equestria for the Tails of Equestria RPG from River Horse Games. I don’t collect a lot of things. My board game collection is actually rather small. I only play 2 minis games, and the amount of each is relatively tiny. But when it comes to dice? … Well, I have a saying, “No such thing as too many dice.” I love these little jewels. I’ve got all types and am always looking out for new places to get them. 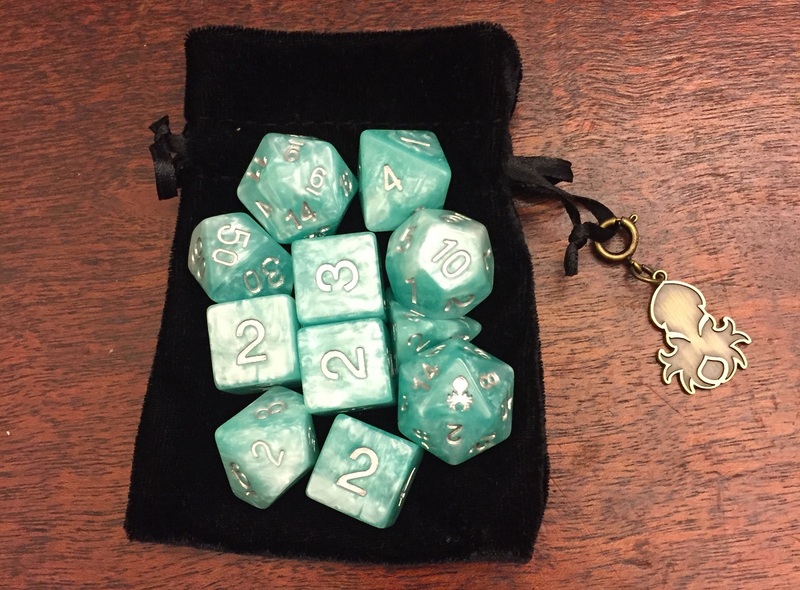 In the past couple months, I’ve come across Kraken Dice. In that short time, they’ve quickly become my favorite dice company. My most recent purchase just showed up, and so I figured I’d tell you about them and about why I love this company so much. So grab your Crown Royal bag, it’s time for another TGN Review. This time, it’s the Iconic Blue dice set from Kraken Dice. Zeus has called together various gods and they’re having themselves a party. The ambrosia starts kicking in, and soon, they’re arguing over what mythical creatures would win in a flying race. Well, being divine in nature, the gods are able to figure this out directly by setting up a track and calling these creatures to fly for their amusement. Of course, no race is quite exciting enough without a little betting going on. 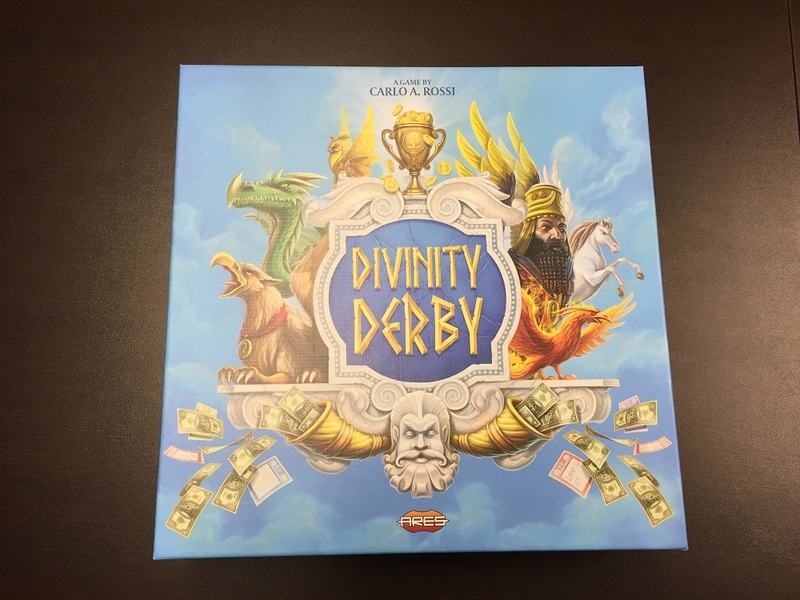 That’s the story behind Divinity Derby, a new racing board game from Ares Games. They’ve sent me a copy to check out and let you know about how it works. So get your $2 bet ready, it’s time for another TGN Review. This time, it’s Divinity Derby. Just about all of us have at least seen all the variations of Munchkin out there. It’s been a staple of Steve Jackson Games’ line since it came out. Most of the sets have been illustrated by the illustrious John Kovalic. Well, a new set of Munchkin is about to come out. One that’s different than all the others. It’s the Munchkin CCG. Steve Jackson Games was kind enough to hook me up with a Cleric vs. Thief starter set, as well as some booster packs so I can tell you all about it. So grab your alluring codpiece and chainsaw of bloody dismemberment, it’s time for another TGN Review. 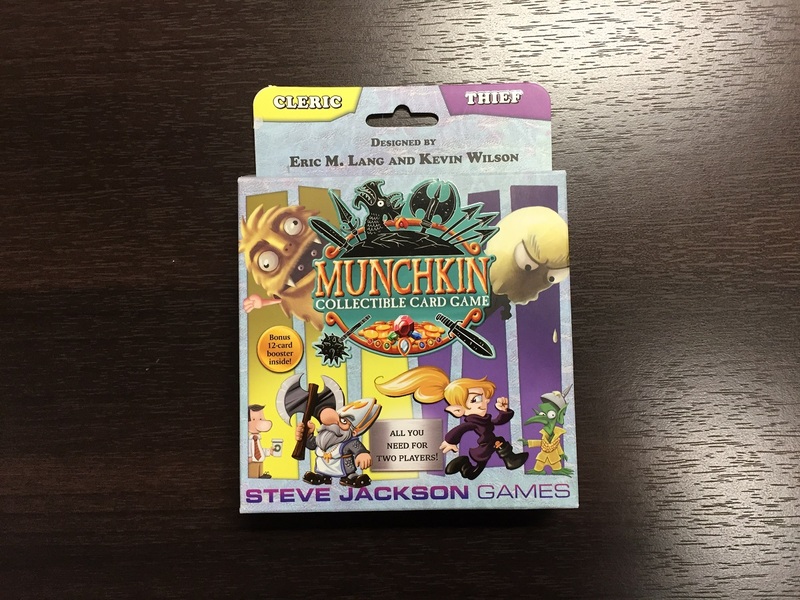 This time, it’s the Munchkin CCG by Steve Jackson Games. Those that’ve been long-time readers of TGN know that I have a love of “gaming backpack games.” Those are games that are very small and compact, tend to have few rules and a small footprint on the table, and can be played at almost a moment’s notice. They’re so named because you can toss them in your gaming backpack and whip them out whenever you’ve got a spare moment, be it before the rest of your group shows up for an RPG session, or between rounds in a miniatures game tourney, or just whenever you and some friends have a couple spare minutes. 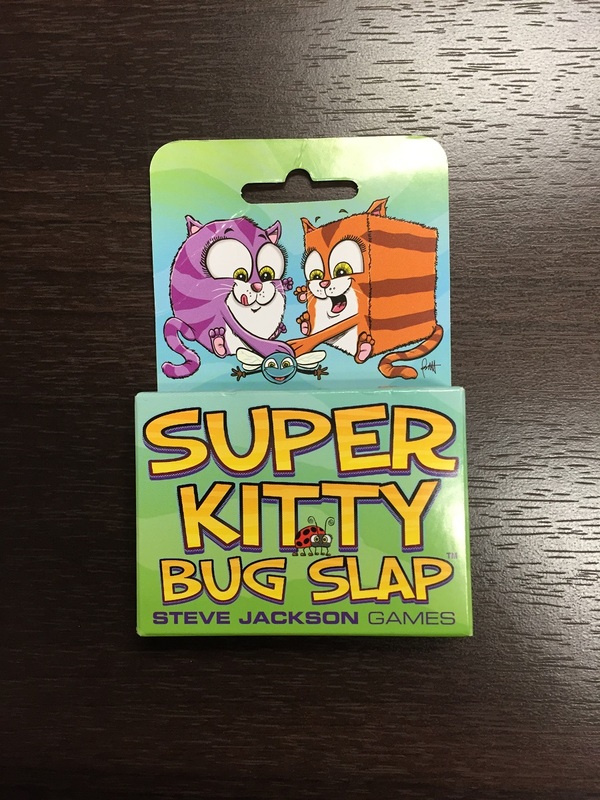 Super Kitty Bug Slap, from Steve Jackson Games, fits firmly into that category. But how does the game work? Well, the fine folks over there sent me a copy, so I can tell you all about it. Please, leave your fly swatters at home (they’d be cheating). It’s time for another TGN Review. This time, it’s Supper Kitty Bug Slap. 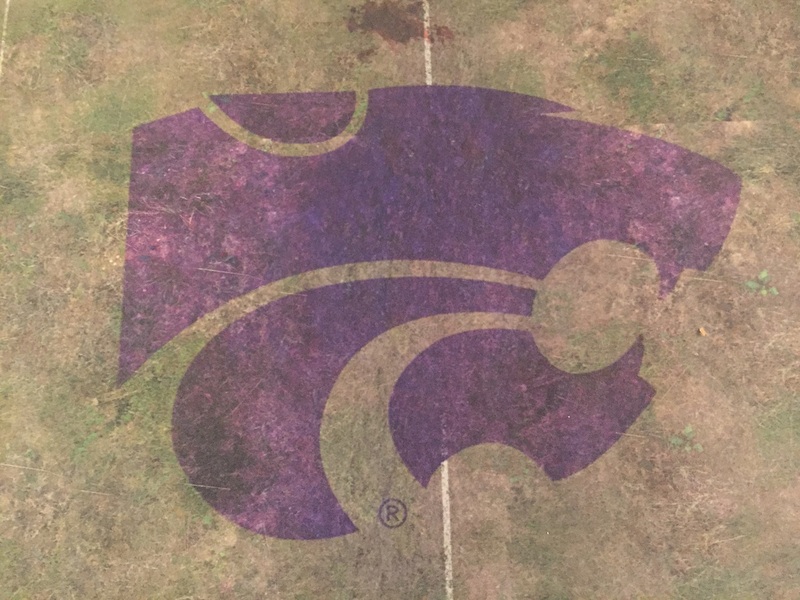 Recently, Deep-Cut Studios started a new program where you can send in a photo and they’ll print a custom game mat for you. They sent out invitations for reviewers to get an early look at the service and give people their thoughts. I was one such reviewer selected, and since I’d been meaning to get a custom mat for a while, I jumped at the opportunity. So, let’s take a look at the custom printing service from Deep-Cut Studios in this TGN Review! I’m an unabashed fan of My Little Pony: Friendship is Magic. I put it in the same league as something like Animaniacs and Tiny Toons, where, sure, I may not be the real target audience, but I feel it’s a quality cartoon product that has enough references to keep me interested (they dress up as the characters from Fear & Loathing in Las Vegas at one point, for example). 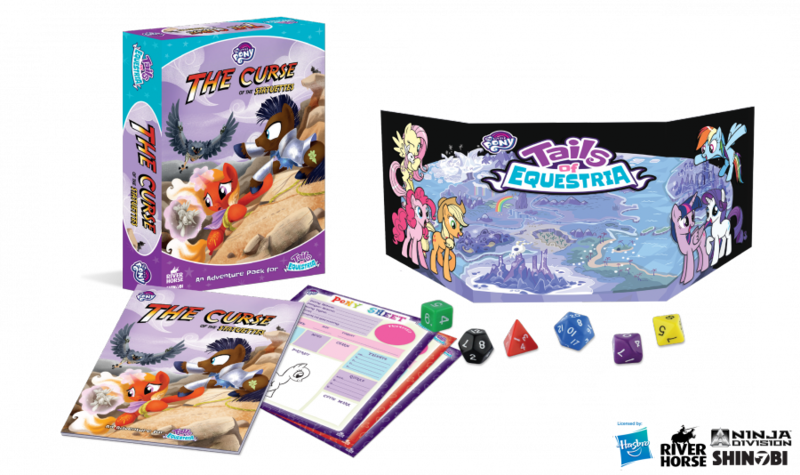 So yes, I do also enjoy the Tails of Equestria RPG book and, as soon as I could, ordered my copy of The Curse of the Statuettes, the first full-length adventure for the game. It got here the other day, and I figured, for my 25,000th post (more on that later), I’d give it a (spoiler-free) review. So let’s get into it. So let’s head out into the badlands and take a look at The Curse of the Statuettes. Many of my friends have young kids who are just getting to the age where they’ve started to show an interest in gaming. They see mom and dad playing their tabletop games and want to join in. Several of those kids are also huge fans of My Little Pony: Friendship is Magic. Heck, my niece is obsessed with the show. There’s also plenty of older people out there who enjoy the show (heck, I admit that I’ve watched the whole series), and many of them are gamers. So, it seemed only natural for there to be a My Little Pony RPG. That comes in the form of Tails of Equestria. The kind folks over at River Horse sent me a copy of the book (they’re true friends, for sure). Grab your saddlebags and watch out for timberwolves, it’s time for another TGN Review. This time, it’s Tails of Equestria. Hey everyone, and welcome to sort of a mini-review of sorts. At Gen Con, Steamforged Games had a new player available for Guild Ball. Ok, so they had new mascots too, but they also had a new player. 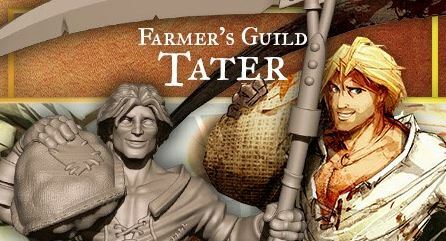 It's Tater, the first of the Farmer's Guild (play for full effect). Wanna see his stats? Wanna know what these Harvest Tokens do? Read on. If you’re a regular reader of TGN, you’ve no-doubt seen how, in the past several months, I’ve become a member of the cult of Guild Ball. It has, very quickly, become one of my two favorite miniatures games that currently exist. I was giddy when the fellows over at Steamforged Games asked if I’d like to review the system. You can see the results of that here. Then they announced a new Guild coming to the game for Season II. It was going to be the Hunter’s Guild. So when they asked if I’d like to check out the new Guild and give you all my thoughts on it, I very literally got up out of my chair and rain around the office going, “Woo!” with my arms above my head. So put on your shin guards and helmet, it’s time for another TGN Review. This time around it’s the Hunter’s Guild for Guild Ball from Steamforged Games. Games Workshop has been rolling out the specialist games one after the other lately. Since the announcement that they were going to be expanding that range, we’ve had Betrayal at Calth, which was Marines vs. Marines. Then there was Deathwatch: Overkill, which gave us Marines vs. Tyranids. And now we have Lost Patrol: Death in the Jungle, which is also Marines vs. Tyranids. Hmm… two of the same teams going at it again. Will Lost Patrol just be more of the same? Or will it head out on its own? The fine people over at Games Workshop sent me a copy of their upcoming game to check out. I’ve already done an unboxing of the set. Now it’s time to actually get some minis put together and try the game out. Load your combat shotguns and get your big can of bug spray, it’s time for another TGN Review. 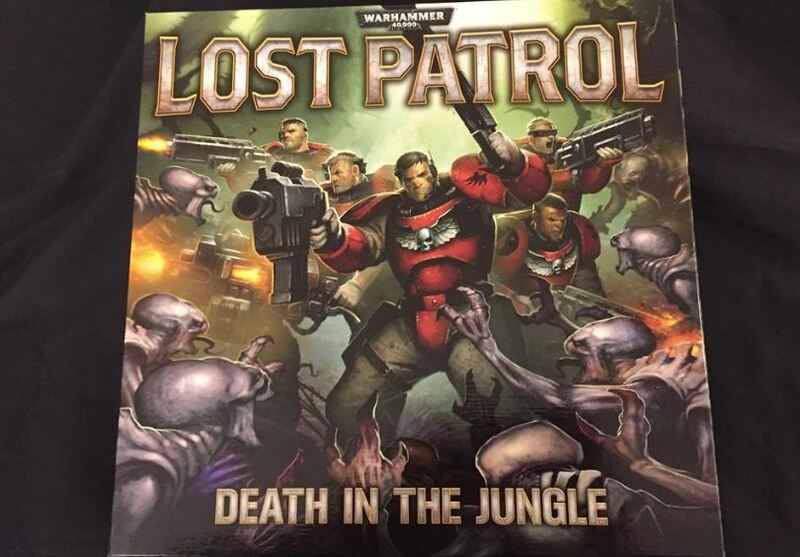 This time it’s Lost Patrol: Death in the Jungle by Games Workshop. I don’t particularly have anything against DC Comics, but I’ve always just enjoyed Marvel more. That’s extended from the comics I read in the 90s through the products I see coming out that have the Marvel license. And with the recent upswing in Marvel movies (well, comic book movies in general, to be fair), there’s been a lot more things coming out that mix my love of tabletop gaming with my love of Marvel. And so here, today, we have the Marvel set for Munchkin. The fine folks at USAOpoly sent me a copy (and some extras, which we’ll get to) to check out and let you know about. So grab your vibranium shield and web spinners, it’s time for a combined TGN Unboxing and Review. 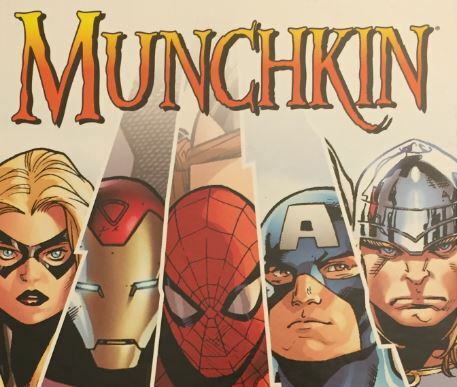 This time around it’s Munchkin Marvel by Steve Jackson Games and USAOpoloy. Lots of companies produce special products for conventions and other events they might attend. Salute, being one of the biggest gaming conventions around, certainly has companies bringing out some cool, unique items for the show. Thankfully, many companies also have those special products available on their website during the run of the show. 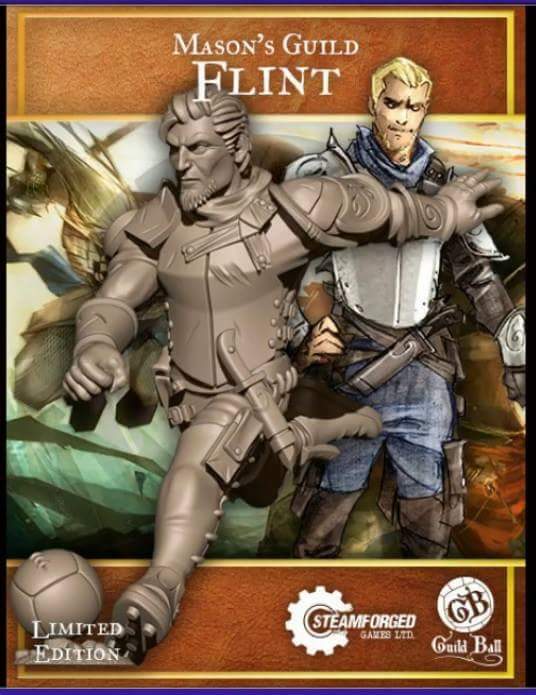 Steamforged Games did that with their Salute specials, which included a special version of Flint from the Mason’s Guild. I took a couple minutes from my Saturday a couple weeks ago to place my order, which arrived today. I thought you might like to see it. So get out your team pennant, it’s time for another TGN Review. This time it’s the LE Flint for Guild Ball from Steamforged Games. When hanging out at the LGS, whether it’s during a tourney or just going between games, we all have various ways of transporting our armies from one spot to another. Some people put their figs back into the foam trays or tackle box they came out of. Though that can be really time-consuming. Others will just toss their figures on the back of a rulebook. But your figures can slide and fall off. Some just grab them and move them over to the next table a handful at a time. But your models can bend or break and your paint can chip. Others get custom trays for moving around minis. It’s one of those that I’m looking at today. Arkee Dan gave me one of these trays at Adepticon to try out and let you know my thoughts on. 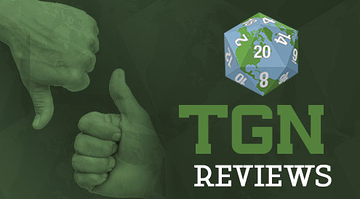 So buckle yourselves in, it’s time for another TGN Review. This time it’s The Guildmate Tray from Tectonic Craft Studios. Andy Chambers and Mark Gibbons. Those are two names that really don't need an introduction for the people that tend to frequent this page. But just in case you didn't know, Andy has been writing game rules for... oh... forever. And Mark has been doing artwork for those games just about as long. They worked together back in the day for Games Workshop and there's a very good chance that you've had a codex in your hand and both their names were on the credits page. Well, they're teaming up again, this time with Games & Gears to bring you Dark Deeds. It's a brand new card game and they've got it here at Adepticon. Ruxton from G&G was nice enough to give me a demo. It would seem that everything isn’t right on Ghosar Quintus. The locals have started to talk a bit funny, with sounds of strange aliens entering their speech. Oh, and there’s the Deathwatch Kill Team that’s gone missing. That’s probably a bad sign as well. We should probably send in another to check out what’s going on. 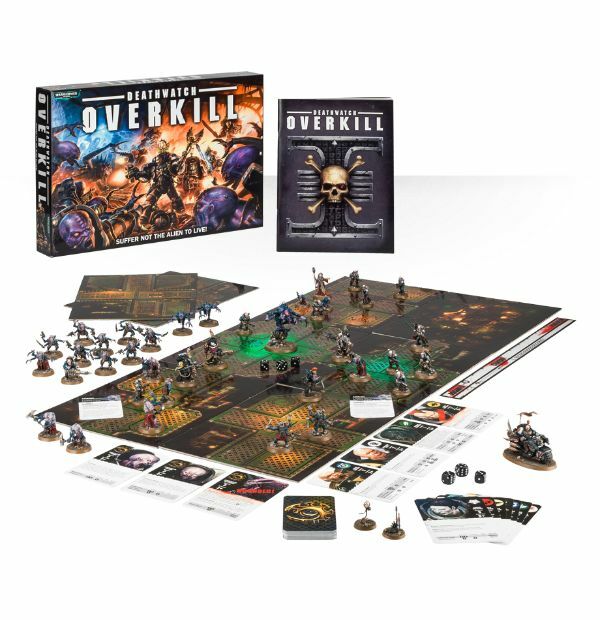 That’s the story behind Deathwatch: Overkill, the new board game from Games Workshop. As you saw in my unboxing article, they’ve sent me a copy to check out. Now it’s time to give you a review of the game, itself. So check your bolter and say a prayer to the Emperor, it’s time for another TGN Review. This time it’s Deathwatch: Overkill by Games Workshop. And they were kind enough to set me up with a couple teams, some tokens, some dice, and a rulebook. I was giddy as I got to work putting the figures together and giving it a try. So grab your giant foam finger and team pennant, it’s time for another TGN Review. This time it’s Guild Ball from Steamforged Games. Raise your hand if you’re a fan of Firefly. *watches pretty much everyone’s hand go up* Yeah, me, too. I actually have been meaning to get those DVDs back out and re-watch the series. It’s a sci-fi western done right. Well, now the crazy antics of the Serenity and her crew meet up with the zany rules-changing of Fluxx. The fine people over at Looney Labs sent me a copy of the new Firefly Fluxx to try out. So get ready, it’s time for another TGN Review. 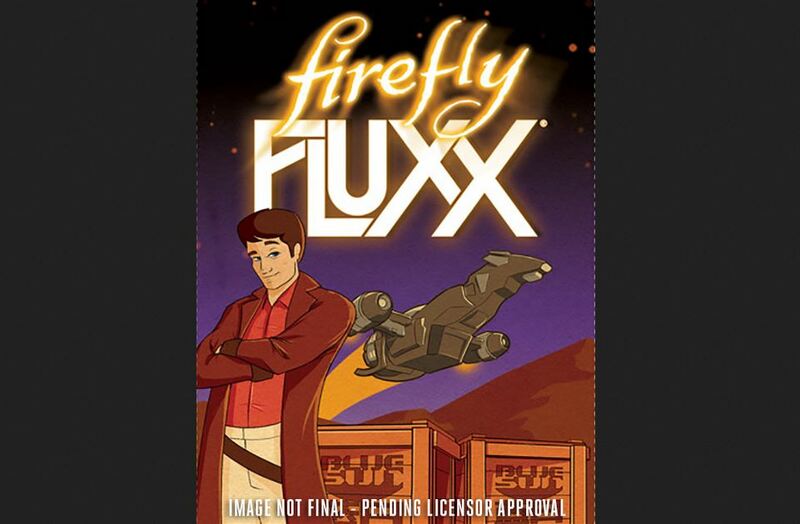 This time it’s Firefly Fluxx by Looney Labs. Pay attention, or by my pretty, floral bonnet, I will end you. Well, I’ve had a review of a Leviathan (and then the evil Leviathan), an APC, two different heavy troopers squads, but that still only came out to 13 total models. Time to bulk up my numbers a bit. So I’m going to more than double the number of figures I’ve got put together by assembling a Valkir Heavy Troopers box. The kind folks at DreamForge-Games once again supplied me with a set. So I hope you brought enough gum for everybody, it’s time for another TGN Review. 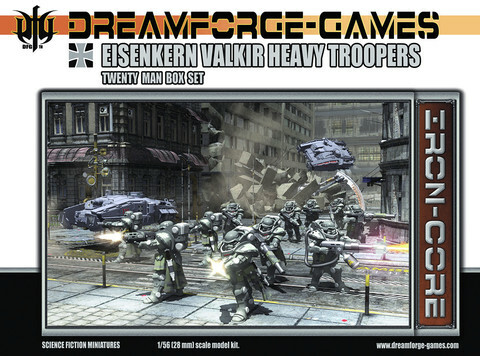 This time it’s the Valkir Heavy Troopers box set from DreamForge-Games. Well, we had a review of the “Battery” (meaning a grouping of artillery weapons), we should probably have a review of the Assault as well. It seems only fitting. As such, I’m here with another of the plastic kits from DreamForge. This time around it’s the Valkir Assault Troops. As before, DreamForge was kind enough to send me a box to let you know about. So get ready to storm the enemy, it’s time for another TGN Review. 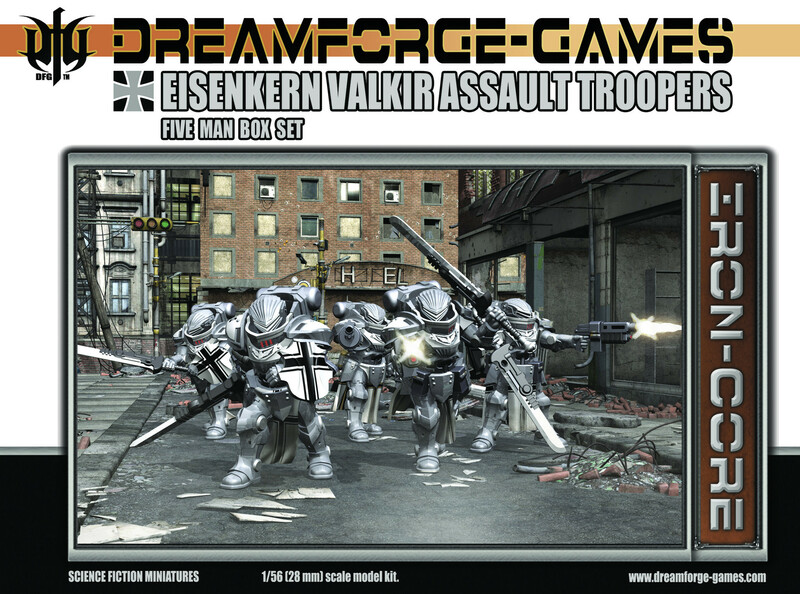 This time it’s the Valkir Assault Troopers box set from DreamForge-Games. I’ve always been a fan of “heavy weapons units.” The Lootas for my Orks would always have lascannons and plasmacannons and all that sort of stuff. Obviously, my Dark Angels would have Devastator squads all armed up with the big guns. Well, DreamForge has their own heavy weapons unit for the Valkir. They sent me a box and I’ve put them together and am here now to tell you about it. So grab an extra belt of ammo, it’s time for another TGN Review. 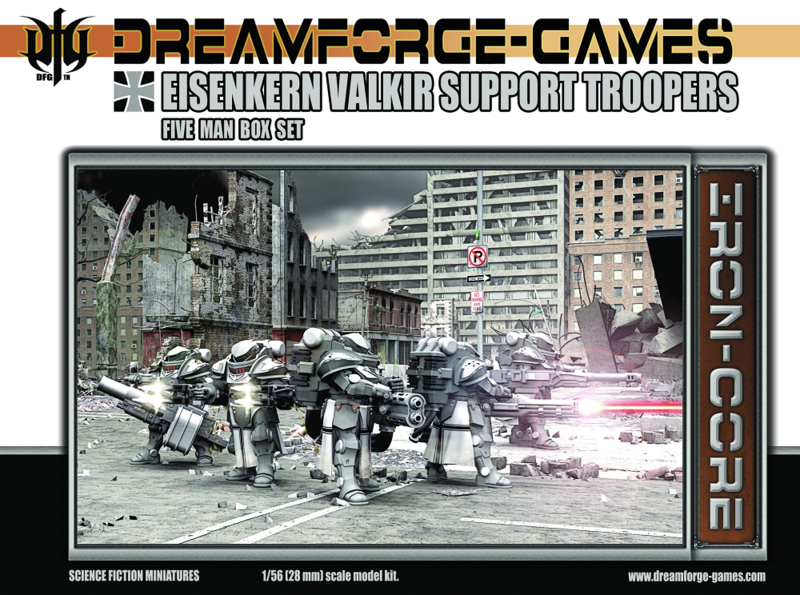 This time it’s the Valkir Support Weapon Squad from DreamForge Games. Hello Campers, and welcome to Camp Wenamigunnagohome. Last one to get to the highway is zombie food! Haha! I’m only kidding, of course! Everybody except the first person to get to the highway is zombie food! Hahaha! I’m only kidding there, of course, too! There’s a good chance all of us are going to be zombie food! Nightmare Forest: Dead Run is a new survival horror card game from SolarFlare Games. They are up on Kickstarter now, looking for funding love. To help out, they sent me a prototype copy of the game to check out and let you know about. So grab your weenie-roasting fork and tent stakes, it’s time for another TGN Review. 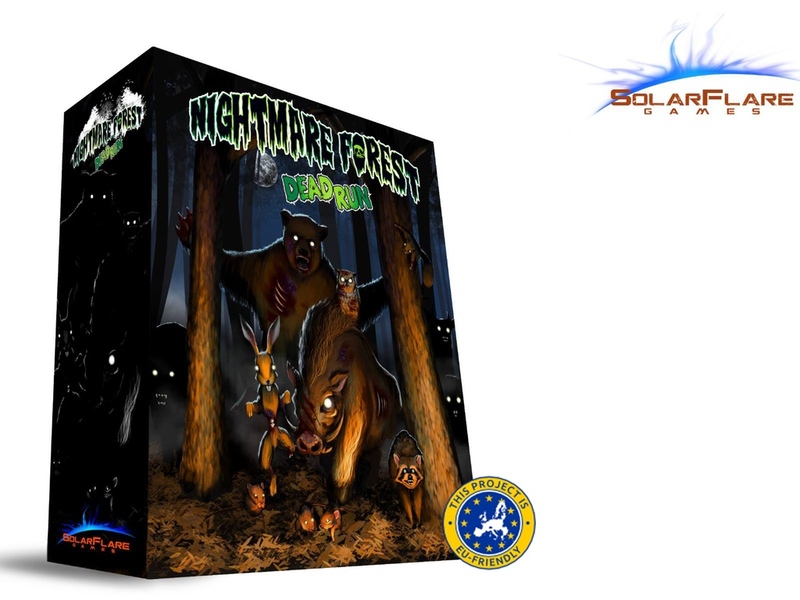 This time it’s Nightmare Forest: Dead Run by SolarFlare Games. I think it was about five years ago or so that I was first introduced to deckbuilding games. It was on the Wednesday before Gen Con. I’d met up with some friends. We went back to their hotel room and they showed me a couple them, starting with Dominion. Deckbuilding games were still rather new at the time. 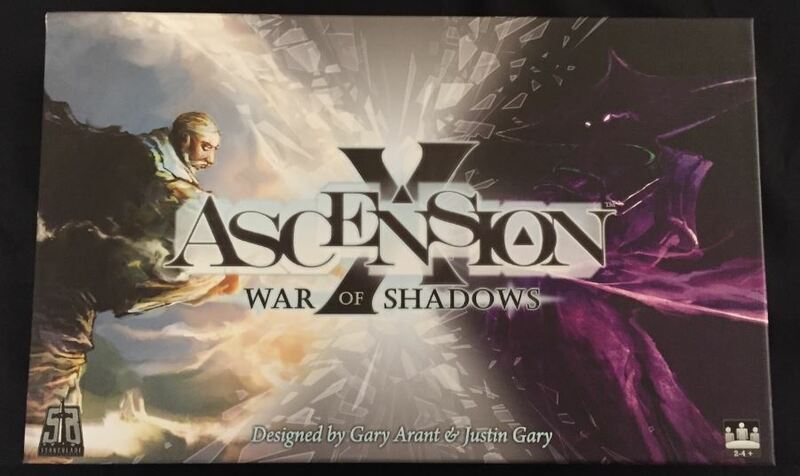 The one that I immediately latched onto and was Ascension by Stone Blade Entertainment (at the time called Gary Games). All this time and a whole bunch of sets later, I’m still excited about the game. So, what keeps me coming back? Well, it’d be the new special “themes” that each set comes out with. The Dreamscape set just came out and the fellows over at Stone Blade were kind enough to send me a set to try out. You’ll want to stay awake for this one. It’s time for another TGN Review. 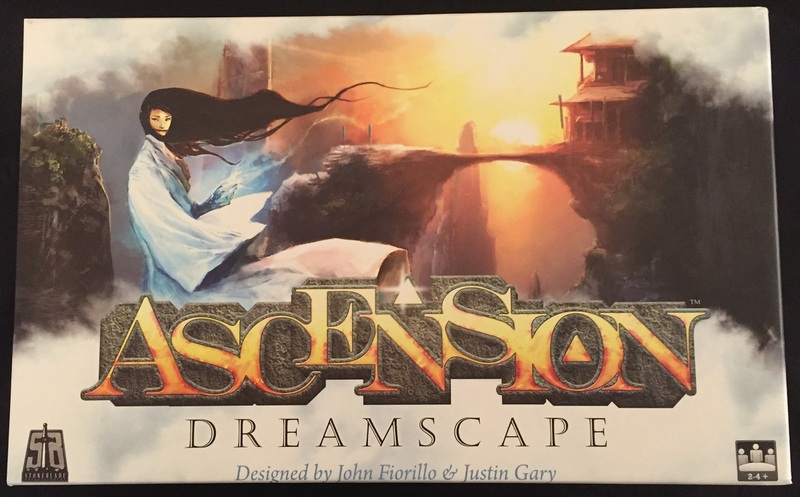 This time it’s the Dreamscape set for Ascension from Stone Blade Entertainment.